Time to go! You know exactly what situation this is referring to. It is the end of a cycle. 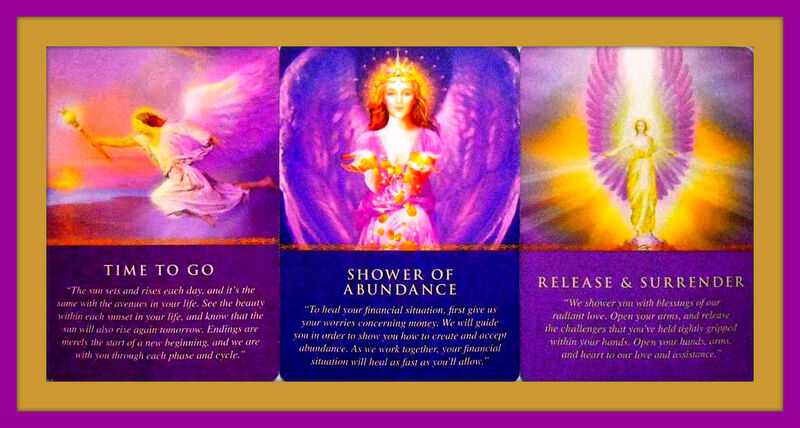 Work closely with your guides and Angels to ensure a smooth transition. Keep your thoughts positive and surround everyone and everything involved with love. Call upon Archangel Michael for courage and Archangel Azrael for help with grieving, if needed. Surrender any fear, guilt, or any other negative feelings to Heaven. Keep your energy high. Give all your financial fears to Heaven. Follow your inner guidance. Expect miracles. Release the hows to Heaven. Surrender emotionally and be at peace. Allow your highest good to manifest. Open your heart and arms to receive. It is time.